The Executive Committee is the controlling body in the Club. It is elected annually at the Club AGM. The Executive Committee has the sole right to appoint Subcommittees/groups as required. The Chairman, Vice Chairman, Secretary and Treasurer shall be the ex-officio members of all Subcommittees. The Club Executive Committee will be composed of 15 members as set out below. (Although the proposed number of personnel on the Club Executive may appear large, it is proposed that the committee will meet every four-six weeks only). The following roles of the Club Executive Committee should be elected at the AGM (all officer positions to be held for no more than 4 consecutive years). 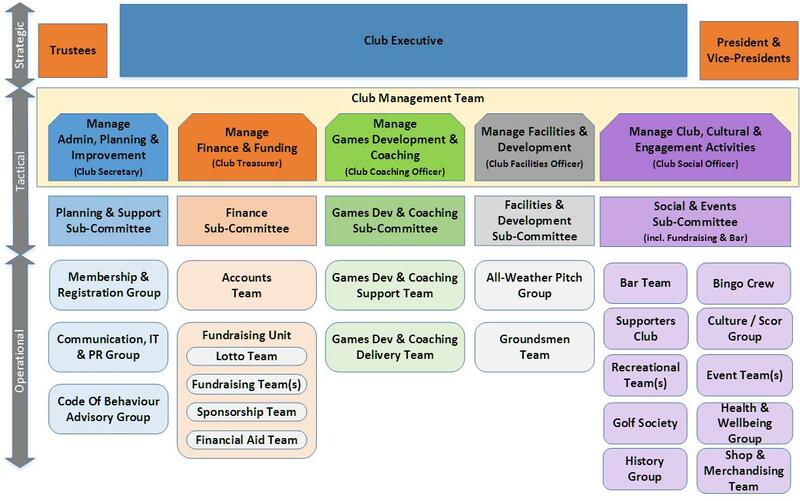 The Five Principal Subcommittees of the Club Executive deal with key areas of the Club’s activities. The composition (including size) of each Executive Subcommittee is dictated both by the workload and by the expertise required in each group. The subgroups are formed from a cross-section of Club members. To ensure volunteers enjoy their involvement in GAA it is important to ensure that individuals are appointed to roles that suit their strengths and personality. All volunteers should fully understand what is expected of them regarding time, effort and commitment. A list of responsibilities is available here for download and should act as below are guidelines to those in the role. The GAA, Ladies Gaelic Football Association and the Camogie Association each have their own membership, governance and traditions. 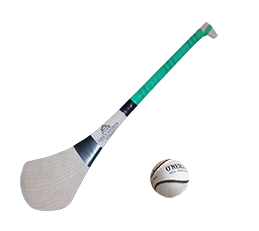 O’Dwyers GAA Club operate the One Club Approach promoting the playing of Gaelic games at both juvenile and adult level. Review the work of the previous year. Review financial statements and auditors reports. Elect officers and executive committee members. Get members views on Club and Association policy. Consider Club policy and revise or endorse. Make submissions through motions to the County Committee on the framing of policy and dealing with the rules of the Association. It is the Executive Committee of the Club that decides the date and location for the Club AGM. However, in general, the meeting takes place on a date before the end of November each year i.e. before the County Convention (rule 8.3 of the Club constitution).